People who wear contact lenses may be more prone to suffering from eye infections than other individuals. Basically, these infections can be bacterial, viral or fungal. Once a person does not take adequate hygienic care of his/her contact lenses, these become contaminated by harmful microorganisms. Then, once the eye mechanisms of defense become weaker, these microorganisms affect the eye negatively, leading to numerous diseases and other health problems, affecting the vision predominantly. However, viruses, bacteria and fungi may come from other areas such as eyelids, sinuses etc. The infection is also associated with eye surgery, eye injury, certain diseases or, simply, inappropriate functioning of the immune system. Among all eye diseases caused by infections, conjunctivitis is the most common one. This condition is also referred to as pinkeye, since the white of the eye becomes red once a person is affected. Due to conjunctivitis, the sufferer may have excessive tear production or experience thick crusts or discharge being present over the eyelashes, commonly appearing after sleep. Eye itching and pain are common signs of this disease along with sensitivity to light and vision problems. When irritation and itching appear, sty can be the infection causing these, especially if a bump is present at the top of the bottom eyelids. The area may turn red and become very tender and painful. If this condition is ignored and neglected, the symptoms may escalate and lead to swelling, uncomfortable blinking, excessive tearing and light sensitivity. If eye irritation is present and you feel pain and burning, along with the feeling that a foreign object is located in the eye, having crusts formed and experiencing dry eyes and red margins on the eyelids, blepharitis may be the problem you are facing. 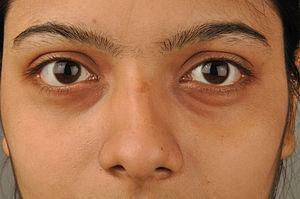 Additional signs of this eye disease are painful and closed eyelids or eyelash loss as well as sensitivity to light. The same symptoms may indicate trachoma, especially if eyelids experience the growth of small bumps on their surface, multiplying and leading to pain and dimmed vision. When fungi lead to eye infection, these microorganisms cause cloudy eye surface, vision impairment or complete loss of vision, along with some of the symptoms mentioned above. In case a visible, round spot is present on the cornea, corneal ulcer is the type of eye disease you are suffering from. Eye irritation and pain may be present here, along with vision problems and formation of discharge from the eyes, with swelling and light sensitivity. Finally, the cornea may get inflamed and lead to a disease called keratitis. Keratitis symptoms represent a combination of all the previously mentioned symptoms.